7th December, 2014 - Queenie is 6 months old today....and she stepped up into Minor Puppy Class with Best Minor Puppy in Group and 1st in 6-12 mths Sweepstakes! 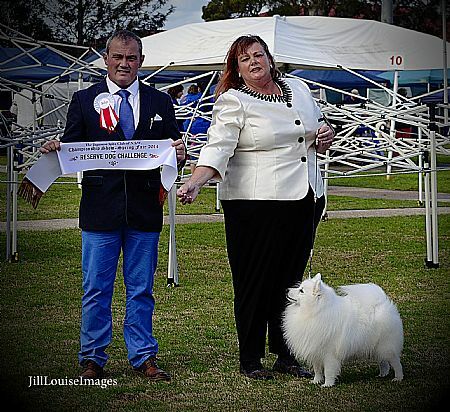 29th November, 2014 - Beautiful day in the sun for the Asian Breeds Dog Club of NSW were Queenie wins Best Baby in Show number 7!! Deni also managed Best Intermediate in Show despite being in her summer bikini! Prince was Best of Breed. 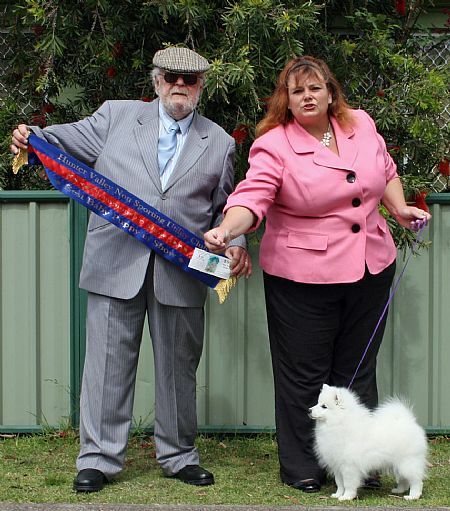 Judge was Mr G Winch of Qld. 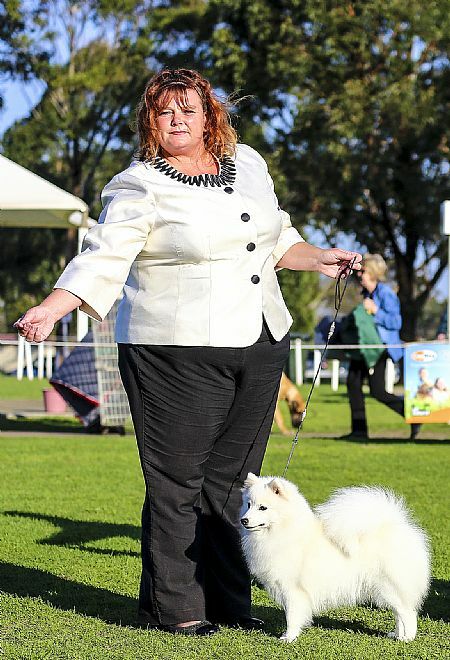 22nd November, 2014 - Dalwood Childrens Home Charity show - Queenie wins another Best Baby Puppy in Group. 15th and 16th, November 2014 - another great weekend for Queenie - 2nd is Sweepstakes and Best Baby in Group on Saturday at the Cancer Charity shows, and then 1st in Sweepstakes, Best Baby Puppy in Group and onto Best Baby Puppy in Show (number 6!) on Sunday in Newcastle!! 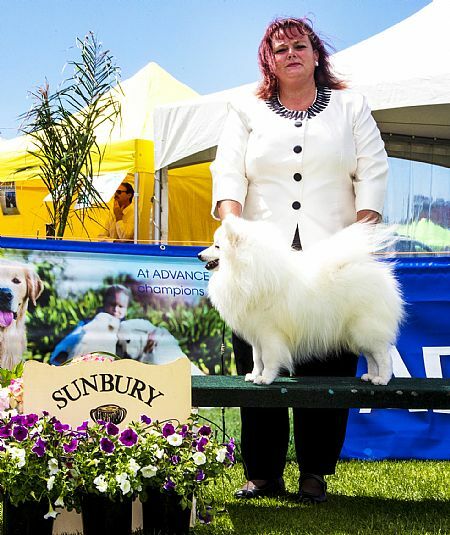 3rd and 4th November, 2014 - a great weekend in Melbourne for the huge Melbourne Cup carnival with Vic Womens Dog Club and Sunbury Cacine Clubs - Prince was BOB and Deni was r/up at both shows. 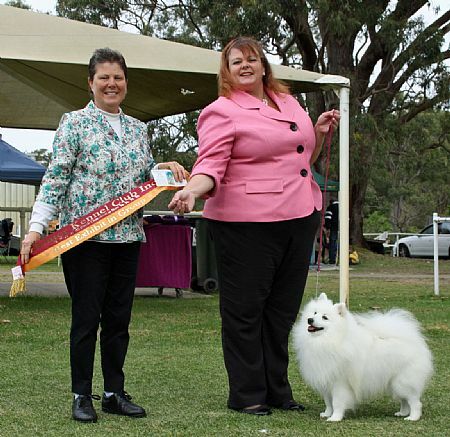 25th and 26th October, 2014 - great weekend for the Dogs NSW shows in Tarago - the star of the show again was Queenie with cleand sweep x 2! 1st in Sweepstakes, Best Baby Puppy in Group and Best Baby Puppy in Show both Saturday and Sunday!! 18th and 19th October, 2014 - one of my favourite shows every year - Southern Highlands shows always held in beautiful Berrima. 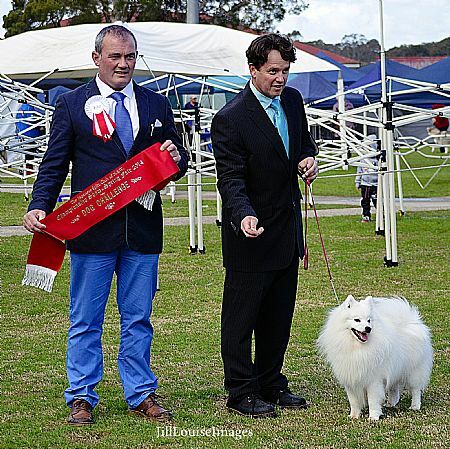 Prince was Best Aust Bred in Group on Saturady and Queenie was Best Baby Puppy in Group on Sunday. 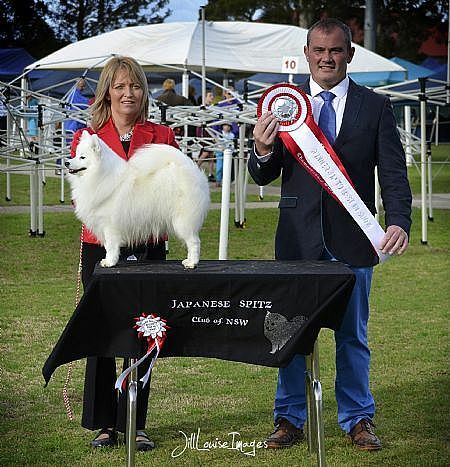 12th October, 2014 - a bit of a quiet day for the JS at the Spitz Breeds Club of NSW. Queeine flew the flag with 1st place in the Sweepstakes. 4th, 5th and 6th October, 2014 - long weekend in Canberra! 2 BOBs for Prince and one for Deni. There was stiff competition among the baby JS - a JS won Baby Puppy in Show at each of the 4 shows!! Queenie picked up one on Sunday. At the other 3 shows Debbies Tariq won 2 and Allana's Ryder won the other! Great social and relaxing weekend staying in Goulburn with Debbie at Mannerking HQ! 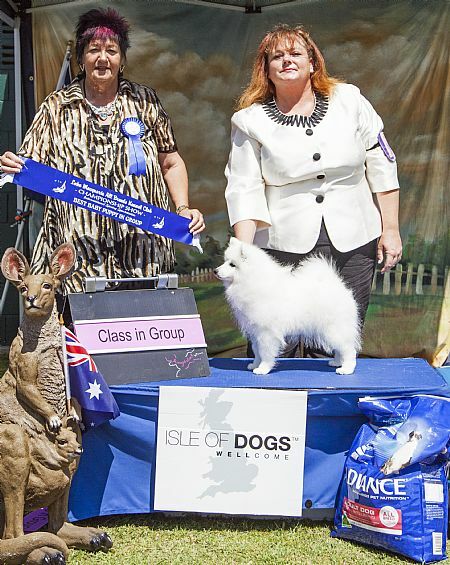 27th September, 2014 - Queenie wins a great Best Baby Puppy in Group and the International Spring Spectacular in Newcastle! 21st September, 2014 - Today we had a double show in Newcastle. Queenie wins another 2 Best Baby Puppy in Groups and another Best Baby Puppy in Show! 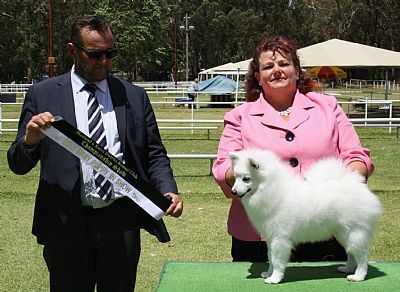 The big news is though Prince won another Best Exhibit in Group - giving him his last win required to qualify for his Supreme Champion title!! 20th September, 2014 - exciting news at Daesdaemar! Our lovely new girl Torah delivered 4 beautiful babies - 2 boys and 2 girls. She has recently arrived from Finland in whelp to the handsome Beckham - Norwegian and Finnish Ch Jasam's Oriental Grandson of Cola (Norway). 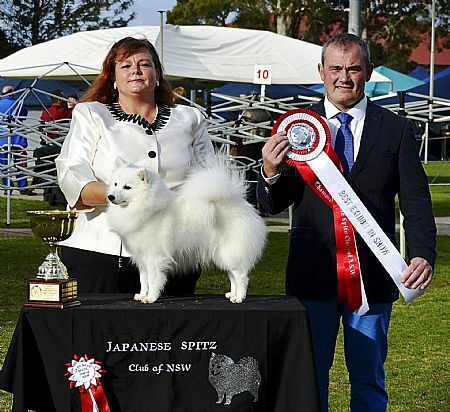 As far as I know this is the first imported in dam litter for Japanese Spitz in Australia! 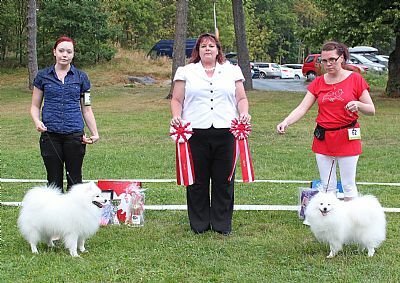 14th September, 2014 - Non Sporting Dog Club today where Queenie won another 1st place in Sweepstakes and Deni wins Best Intermediate in Show! 7the September, 2014 - new baby Queenie - Daesdaemar Call Me Queen Bee debuts with Best Baby Puppy in Show!! Also 1st place in Sweepstakes! 1st September, 2014 - a new era begins at Daesdaemar! We welcome Torah - Noblewhite Zilver N Gold from Finland! She is pictured here with me after being released from quarantine today! 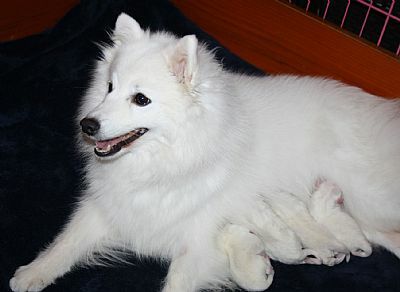 She is carrying a special load - she is in whelp to Norwegian boy - Norwegian and Finnish Ch Jasam's Oriental Grandson of Cola. 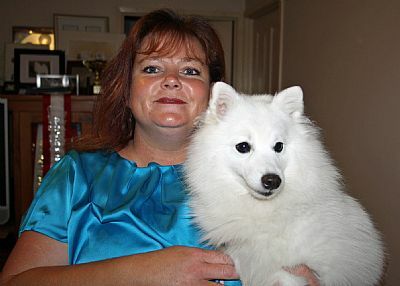 28th August, 2014 - Great day at the 4th Japanese Spitz Club Specialty Show, judged br Mr Noel Beggs of Ireland. Best Exhibit in Show was Deni - Ch Mannerking New Grove!! Her sister Emily - Ch Mannerking New York was Runner Up. Both beautiful Jacob daughters! 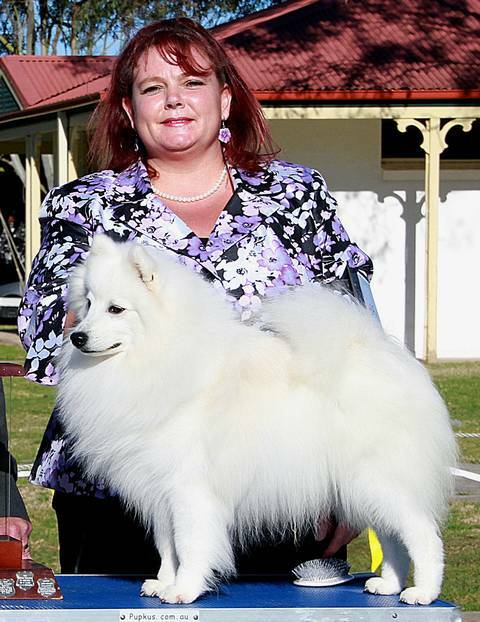 Dog Challenge winner was Dallas - Ch Daesdaemar When Wil I B Famous, and Reserve Dog was Prince - Grand Ch Daesdaemar Its A Love Story - another Jacob baby! 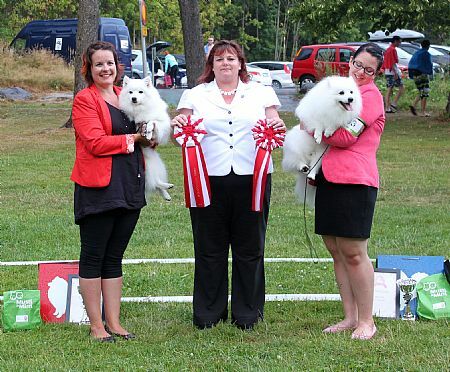 7th August, 2014 - During our holiday to Finland for the World Dog Show in Helsinki, I was honoured to be asked to judge an Open Show for the Japanese Spitz Assn of Finland. It was a wonderful sunny day in beautiful surrounds and the dogs were really lovely. There was a great entry of 66, plus Progeny and Breeders groups! My winners are pictured above!